After you’ve decided to become an affiliate with ClickBank, it is time to choose your niche. There are a variety of factors that go into doing this. First and foremost, you need to be sure that the type of product you are going to promote is something that people will want to buy. That probably sounds sort of silly and obvious! However, many people unfortunately promote the wrong products that just won’t sell because they are not in a hungry or desperate market. Make sure that people are actively purchasing the thing you’re trying to promote. You can view this by looking at the ClickBank product’s gravity score. The higher the gravity, the more affiliates who are making sales with this product. As you browse through the ClickBank marketplace, take a look at these gravity scores. 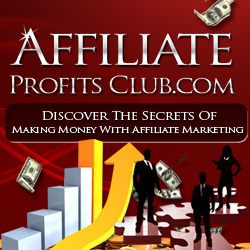 Also take note of how much the affiliate receives. Break down some of the product names and do a little research into that certain niche. Are there products at Amazon that people are buying? Are there searches for this topic in the search engines? You can check the searches by googling “Google keyword tool” and entering in the niche the product is related to. If there are searches, then it may be a good match for you to get into. Many of the best selling products are in a market that is desperate to solve some kind of problem. Acne, relationship problems, and home improvement are commonly used as examples because they can be hot sellers. For example, the e-book “The Magic of Making Up” has been a hot seller in ClickBank for quite some time because it deals with a desperate situation. Men and women from all over the world are desperate to get back together with their ex at any cost! This book promises to help them do that (and it contains good information) so many people are willing to buy it. If you focus on things you know are selling well, and go about it in the right way, you can definitely make some good money. However, choosing your niche isn’t something you want to take lightly. You need the best instruction in a step-by-step manner so you don’t waste your time and get discouraged. Nothing is worse than doing a lot of work on a campaign, only to continue to see zeros in your ClickBank earnings account! If you educate yourself a little bit more, you can start to turn this into some excellent money.